Such accomplishments marked out women as belonging to a certain class and were part of what made them marriageable. Drawing and embroidery were part of a conventional education for young women in the eighteenth and nineteenth centuries and manuals such as Bowles’s Drawing Book for Ladies were produced to provide images for copying. It has been suggested by some critics that encouraging women to copy from already-existing works of art was a way of constraining originality, thus ensuring that women artists remained amateurs rather than professionals. 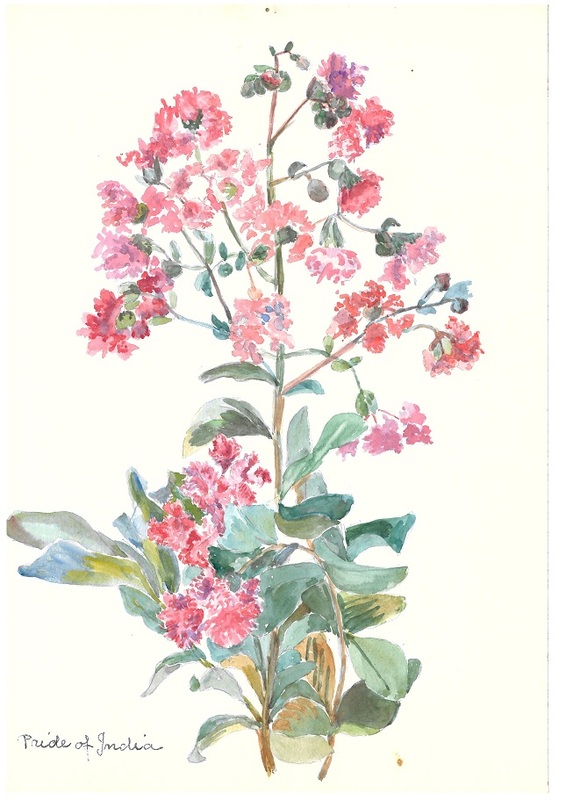 As July is World Watercolour Month, we look at some examples of watercolours produced by women held within Special Collections. 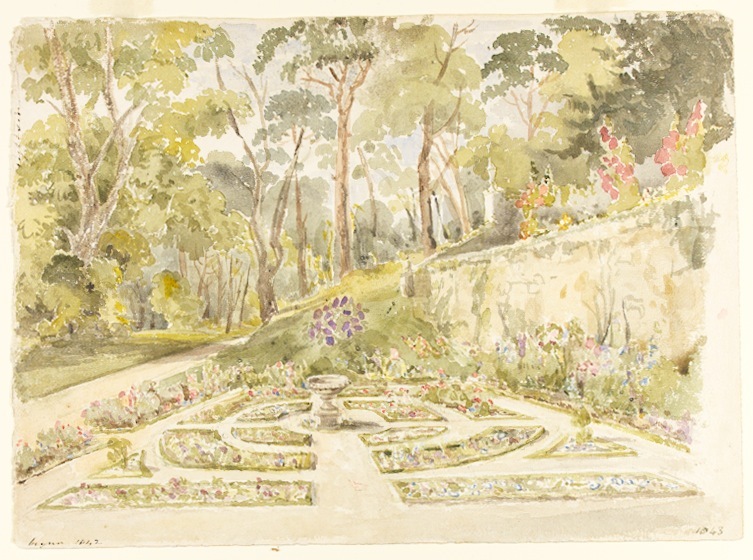 The Gordon family collection (MS 80) contains some fine examples of watercolours of the family home and garden, Northcote on the Isle of Wight. These are the work of Julia Isabella Louisa Bennett, Lady Gordon (1775-1867) and possibly also by her daughter Julia Gordon. 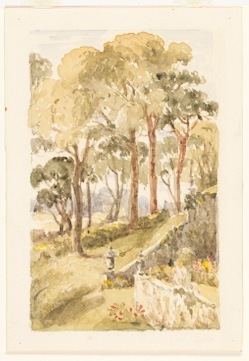 Lady Gordon was an accomplished artist, remembered as one of J.M.W.Turner’s few known pupils, who also studied with David Cox and took lessons from Thomas Girtin. 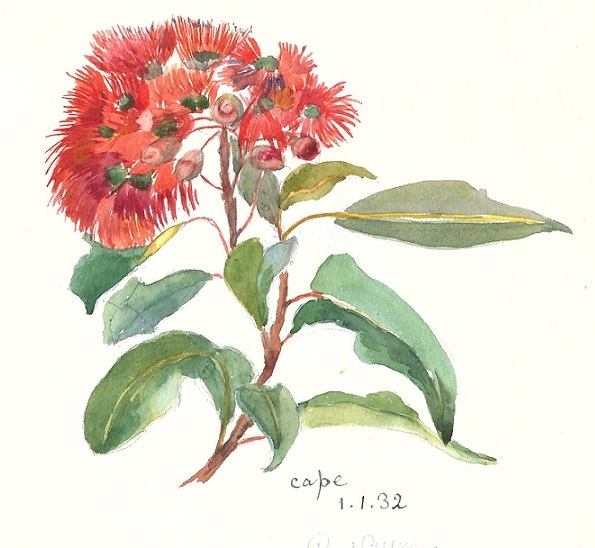 Other examples of her work are held at the Tate in London and in National Trust collections. Charlotte Chamberlain was a member of the Chamberlain family of Birmingham, one of seven daughters of the industrialist Arthur Chamberlain. She was a graduate of Newham College, Cambridge, and of the University of Birmingham, the foundation of which her uncle, the politician Joseph Chamberlain, had played a leading role. On the death of their father in 1913, Charlotte and her sister Mary moved to the New Forest and they both became closely involved with the development of and notable benefactors of what was later to become the University of Southampton. A member of one of the prominent Anglo-Jewish families, Julia Matilda Cohen née Waley (1853-1917) married Nathaniel Louis Cohen in 1873 when she was 20 years of age. The Waley Cohen collection (MS 363) includes Julia’s sketchbooks for the period 1874-81 and 1895. 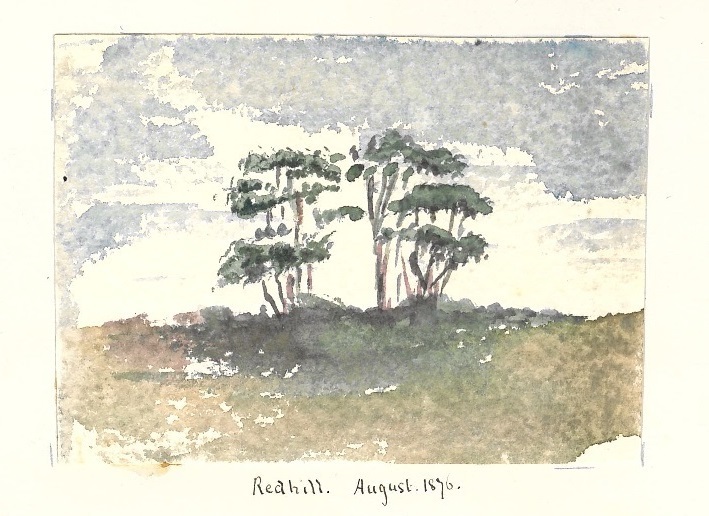 The earlier sketchbook was an album given to her as a repository for her sketches by her Aunt (Elizabeth) and Uncle (Jacob Quixano Henriques) in September 1874 to mark her reaching her majority. 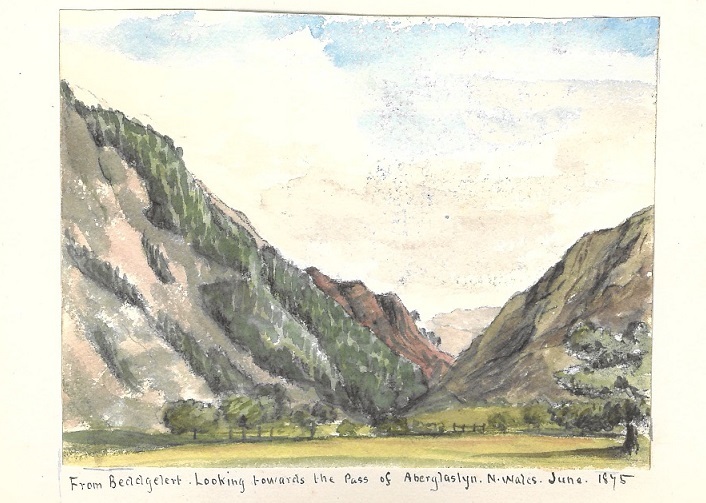 It contains sketches of places she visited around Britain and Europe including: Perthshire, Scotland; Windsor Castle, Chichester and Bournemouth, England; North Wales; and Simplon, The Tyrol, Domodossola, Venice, Verona and Lake Como, Italy. 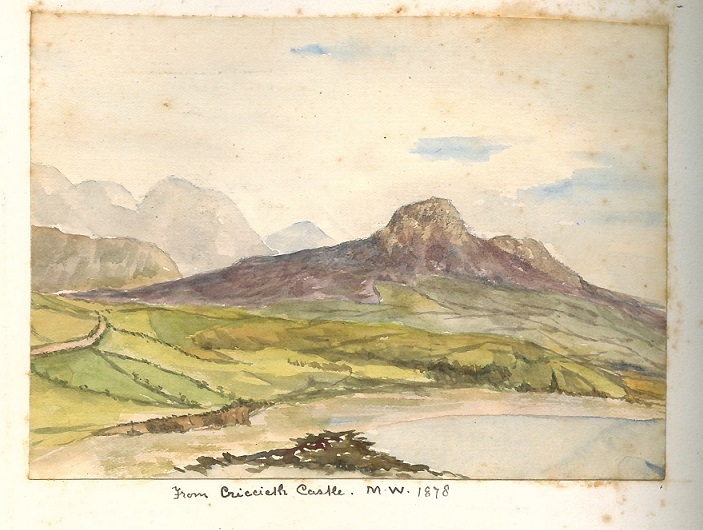 This entry was posted in Manuscript Collections and tagged art, Beddgelert, Charlotte Chamberlain, Cricceth Castle, flora, Isle of Wight, Julia Gordon, Julia Isabella Louisa Bennett, Julia Matilda Cohen, Lady Gordon, Mary Chamberlain, Northcourt, painting, South Africa, Wales, Waley, Watercolours. Bookmark the permalink.